Fresh, cooling, sweet and salty, this dish is the perfect appetizer (or dessert!) for a summer meal. Depending on the size of watermelon, this recipe could make up to 20 servings. If the watermelon is especially large, either double up on the number of slices per serving or reserve some watermelon for another use. Cut the watermelon in half long ways twice (to make quarters), then slice each quarter into 1 ½ inch slices. Place each slice flat onto individual plates. 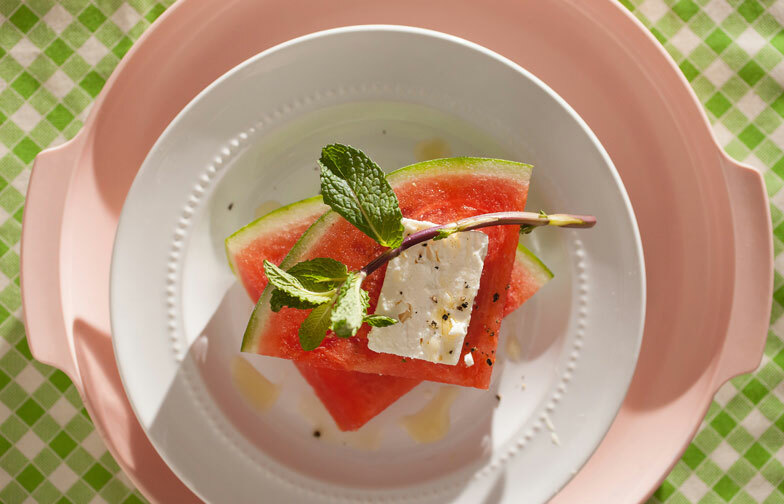 Cut the feta into ¼ inch thick slices to cover about half the width of the watermelon slices. Top each watermelon slice with a slice of feta. 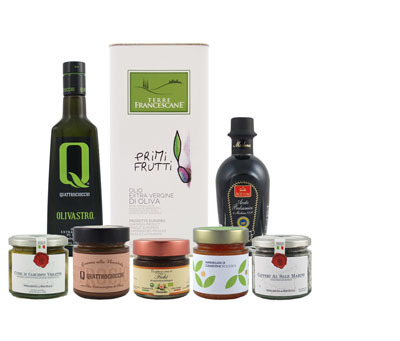 Sprinkle with black pepper and drizzle with olive oil. Top with a sprig of mint. Can be eaten with a fork or by hand.